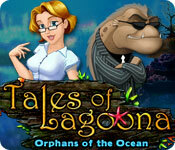 Tales of Lagoona: Orphans of the Ocean is rated 4.4 out of 5 by 61. Rated 5 out of 5 by marcyj306 from Excellent Game I really enjoyed this game, very challenging and the HO's are excellent. Rated 5 out of 5 by Bumbles2 from One of the best HO's I've played in a very long time Hi all....I'll start off by saying that its one of the best games I've ever played and that's why I'm giving it 5 stars....if I could I'd give it more !!! Now I can't wait to start the next one...Lagoona 2: Peril at Poseidon Park. The story for this game goes like this...A horrible developer by the name of Bill Barracuda is trying to shut the orphanage down and put up a shopping mall...he belongs to the Beautification Society of Lagoona and they decided that the orphanage needs to be torn down. Now its your job to find all the objects in the various rooms and also to find gems which are used to open up more rooms in the orphanage. I've had a ton of fun with this one and didn't really want it to end. The story is really cute and some of the antics are priceless...it kept me in a smiley positive mood and very entertained. The beautiful music was well done...kept me very relaxed. The graphics are superior... the artists need to be congratulated on a job well done !!! There is definitely some challenges with this game but they are not impossible to complete. All in all a very delightful game to play....I don't think you'll be unhappy with your purchase. Enjoy all...and have fun !!! Rated 5 out of 5 by Sapphire_Glints from EXCELLENT Game !!!!!!!!!!!! This game and also Tales of Lagoona 2 are amazing! I noticed a tremendous amount of care, attention to detail, love and consideration for the player, in both games. The creator/s of the game are very well admired in that they manage to incorporate so much fun, challenge and enjoyment in both games. They have gone over and above normal game standards because there is so MUCH in each of the above games, both in the HO areas as well as in the puzzle areas, to keep the player happily busy for a very long time. These games are replayable and therefore worth far more than I paid for them! The puzzles alone are worth much more than the cost of the entire game. Each puzzle is different and a few of them are very, very admirable in the challenge level, content, idea and fun! I found the HO part better than most other HO games, in that the HOs are easily retrievable as they are large and seem very true to the clue given, and the colors are bright and delightful! Both adults and kids could enjoy this. Many, many thanks to the Creator/s of the game and to Bigfishgames who managed to get this game to the community so easily and inexpensively. Very good wishes to you all !!!! Rated 5 out of 5 by Ziggy_Zigster from I sea a real gem here! Well, after falling in love with the sequel, I decided to try the original. I wasn't sure what to expect but I was hoping it would be along the same lines as its successor and that it is. You can't really classify this game in one genre. It's got too much variety - in a good way. From HOs, quests and a boatload of different puzzles. You can play timed or relaxed which is great. The 'theme' of this game is different than the sequel. You have to 'restore' the orphanage by completing HO scenes. Each room in the orphanage has an HO scene. You gather items not only from the list, but also to complete the side quests. Each HO scene has a 'hidden location' that may or may not have an item you need. Each HO scene also has numerous 'gems' to collect to use in the game. The 'theme park' of this one is underwater. Restore the park, restore the orphanage and complete quests and puzzles along the way. The puzzles are many, various and RE-PLAYABLE! I will warn you though, this is an addictive game. ESPECIALLY for those who love 'variety' games rather than doing one thing repeatedly level after level. If you've tried the sequel, don't bother with the demo of this one, it's a sure bet. Rated 5 out of 5 by upsysydaisy from Something's A Little Fishy Here! The characters in this game are so delightful with all their humorous dialogue. Without them the game would not have been as enjoyable. Many hours of fun searching, selling, rennovating. Good variety of games. However, I always had to skip several of the same game each time, due to my inability to play sudoku, connect the light beam, and avoid the jelly fish in the sand. They were too frustrating after too many attempts. 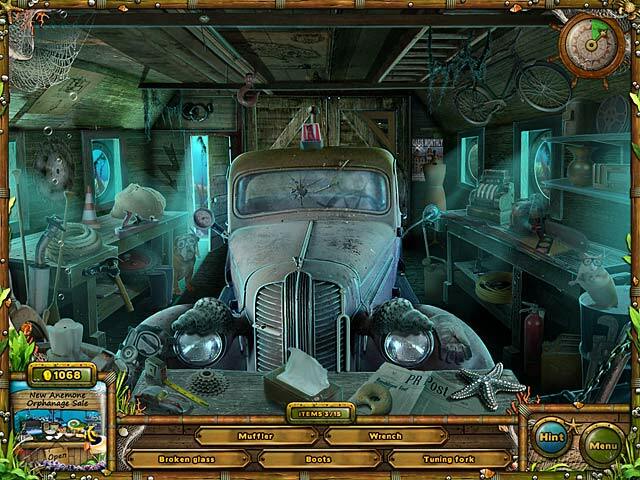 The hidden objects were good in each room and there were 5 gems to collect in each one. Although I don't remember it being explained, I think the amount of gems collected overall, determined your ability to unlock a new room. Also, if you found a magazine in your search, that would help to open new upgrades to the orphanage grounds. I always collected all gems in each room, but at the end of game I was left with 8 unlocked rooms. Had to search in the same rooms over and over again, to the point where I felt I could find all the objects if I was blind in one eye and couldn't see out of the other. lol. Rebuilding the orphanage grounds was lots of fun and there were several choices of decoration for each area, each having a different cost. 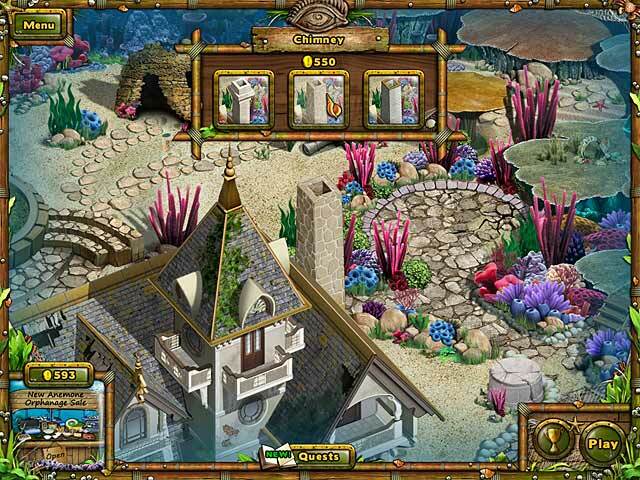 As your hidden objects are found, they go to the marketplace and are being sold as you play. Money is also earned from the quests you accomplish along the way. Lots to do, but very easy to get the hang of it all. Wallpapers and great music are also included. Puzzles are replayable at end of game. Much quality content here, for being just an SE version. I am sure the entire family will love playing, no matter what age you are. I have to say though, that you should think about getting Tales of Lagoona 2. It has a lot more to do and is more challenging, has more rebuilding to accomplish and is a much longer game. I liked it better!! It was nice to know my money was well spent on both of these sweet games. I was somewhat disappointed, though, that there were no little orphans to be seen anywhere! Would love to help my fishy friends rebuild another project in a third Lagoona!! 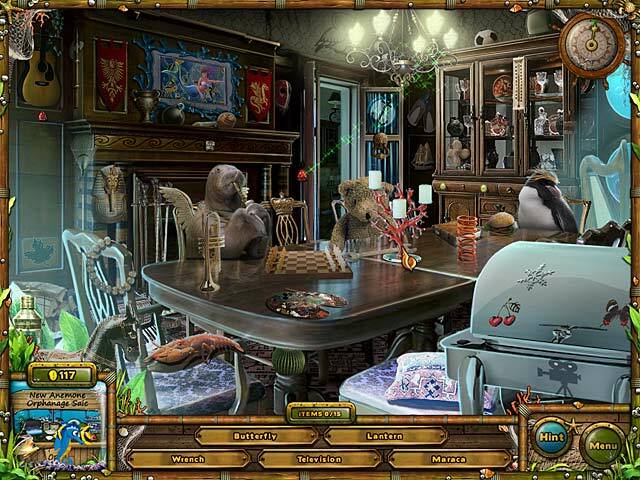 Rated 5 out of 5 by Gram636 from Fun Hidden Object Game! Great game! Not your run of the mill! Rated 5 out of 5 by AdrianaIP from Very funny. It is a HOS and fix-it game. What makes it exceptional is the humor, be it in the dialog or the snippets about Coral Bay. I defy anyone look at the famous painting versions without lauging "Minnow Lisa"???? The underwater decor, as the place is gettig fixed up can be spectacular, and the helper fish in his argyle sweater #because that's what it looks like to me# is quite likeable. The characters are fun. The HOS are OK, not the best there are but not bad. Same as the minigames #which have been adapted to a marine theme - thus minesweeper becomes a field of jellyfish#. They are what you need to do to continue fixing up the place, and meeting the residents, and learning more about the town. Very much worth it!!! !